From its stylish amenities to its modern conveniences, this Fuse Class C diesel motorhome is just what you need for a weekend away or months on the road. 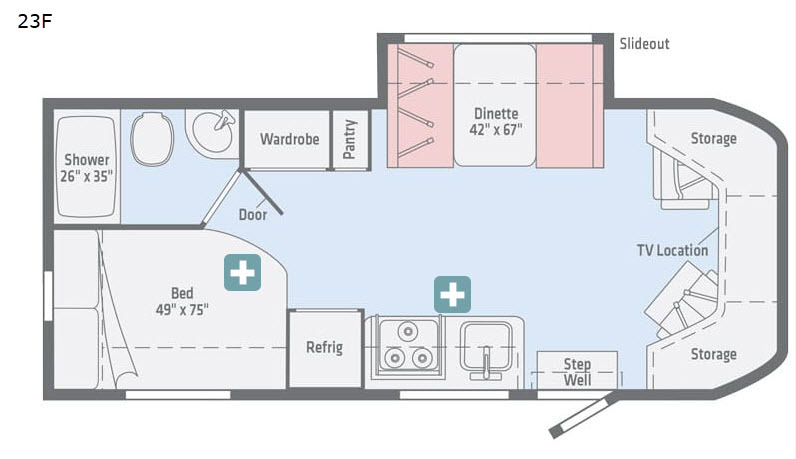 Because of its full bathroom with a 26" x 35" shower and skylight and its full kitchen with a 3-burner range top and double-door refrigerator with freezer, this unit allows you to travel the way you want without having to plan your trips around rest stop and dining locations. You will also enjoy having your own comfortable place to sleep each night with the full-size foam mattress and headboard. 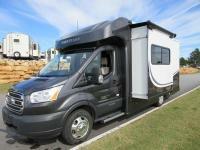 Each Fuse Class C diesel motorhome by Winnebago provides a nimble and fuel-efficient way to travel anywhere you desire. From the solar charging system and Cummins Onan LP generator to the TrueLevel holding tank monitoring system, the Fuse comes with all of your favorite modern amenities that will make traveling easy and enjoyable. 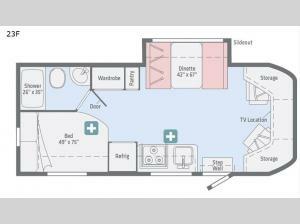 You will also be impressed by the look of the interior with additions like the LED lighting, vinyl flooring, and tinted windows, and the coach stereo system with an AM/FM/CD/DVD player and Bluetooth will keep the fun going throughout the entire coach no matter where you've chosen to vacation.